A nice drink paired with a comfy seat outside to watch the sunset always sounds like a good idea. We've got the perfect candidate for the job with the Sunnyside Poly Bar Stool. 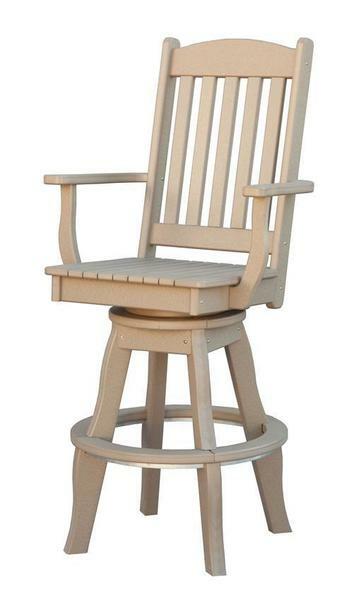 Supportive back and seat are both slatted and the rounded foot rest offers support as well. Enjoy a set of new Sunnyside Poly Bar stools that will last for years. Please email or call our team with any questions. Thank you for shopping with DutchCrafters.